A view of the residence from an alley behind The Mercantile. 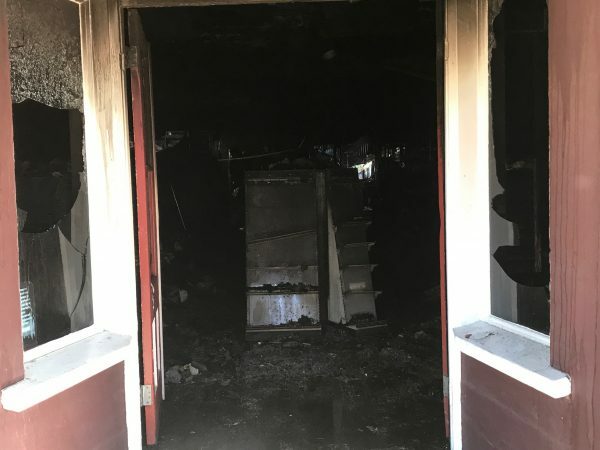 Shortly after midnight, a fire was spotted burning in an uninhabited apartment behind the Mercantile. The blaze destroyed the apartment. 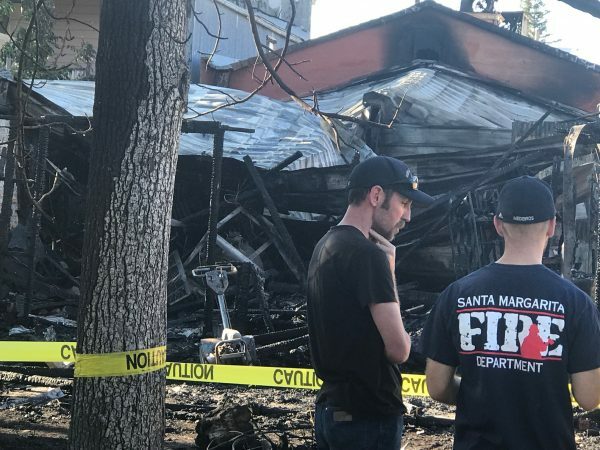 The fire spread to the Mercantile building, which is located along Highway 58 in the heart of Santa Margarita and catty-corner to the Santa Margarita Fire Department. The Mercantile, previously a market and deli, also sits between an antique store and The Porch Cafe. Flames burned a section of the backside of The Porch, but the cafe remains open. 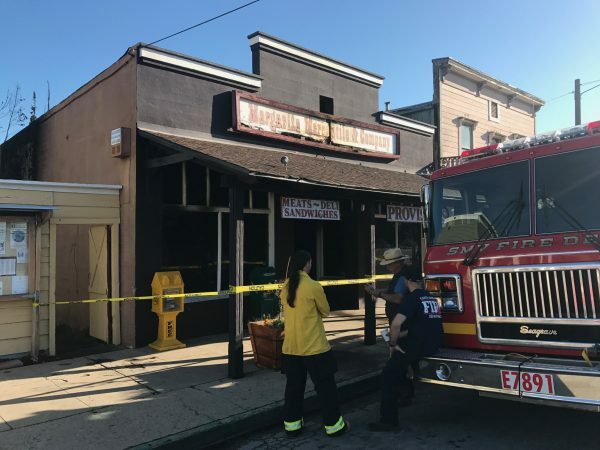 Several years ago, The Mercantile closed after the woman who operated the store was killed in a drunk driving accident following a concert at the Pozo Saloon. The structure, a block building with a metal roof, was basically vacant when it was ravaged by Monday morning’s fire. Cal Fire personnel joined volunteer Santa Margarita firefighters in battling the blaze. Firefighters extinguished the blaze and are now investigating it. The cause of the fire is thus far unclear.